Hello from Prague, Czech republic. Just to recap the problem started when the safety key detached during a run. This happens by design and has happened many times before but previously I’ve been able to restart the treadmill easily. 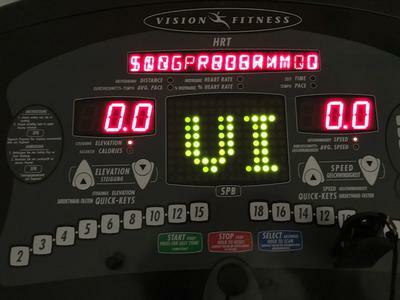 Instruction message displaying on screen: "Press User Log in key or choose a program using program quick keys or press start for easy start"
The green, red and blue buttons at the bottom of the screen are not active for some strange reason so it’s not possible for me to select any program or press quick start.